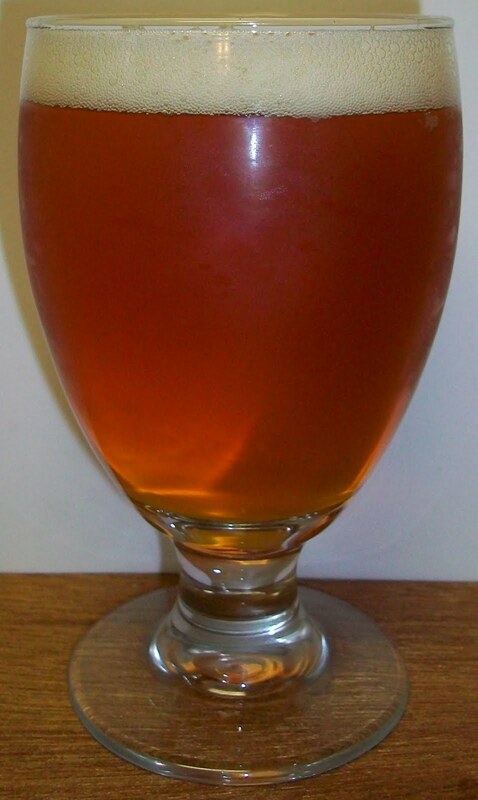 Greenville Pale Ale is a traditional American style Pale Ale, rooted in the Pacific Northwest brewing heritage. The light colored medium bodied ale uses whole flower cascade hops with all natural two row barley malt. This produces a light Pale Ale that explodes with rich full flavor. This refreshing ale has an immediate floral-citrus taste that comes from using the cascade hops. This was a gift from my friend Joe. I did not know that Twin Lakes bottled or canned anything. All this time I thought it was kegs only. 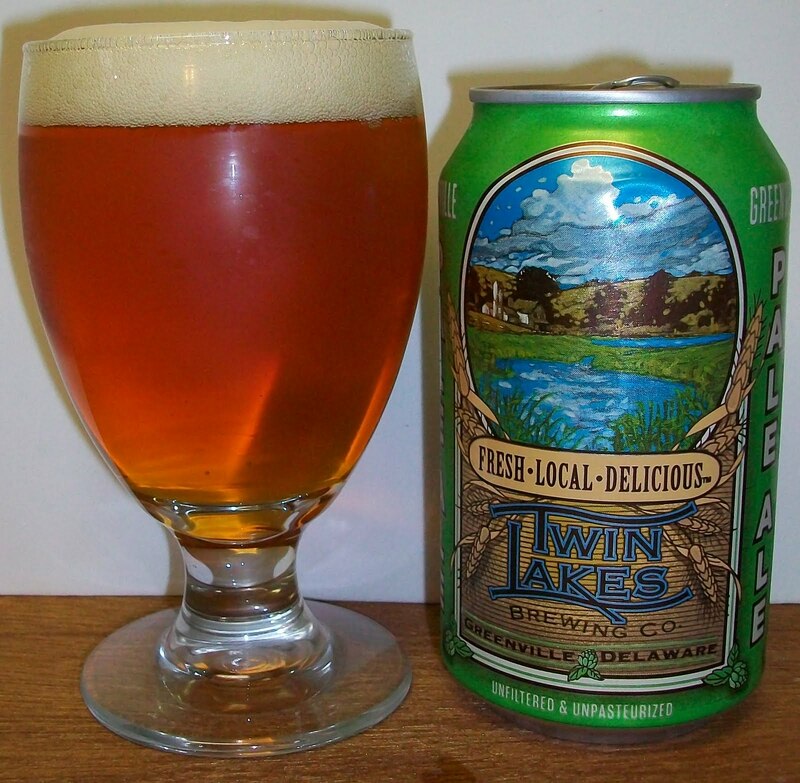 Now I’m really interested in trying something from Twin Lakes. Let’s see how this Pale Ale is. The beer pours a clear copper color with orange hues and a fairly rich white to off white head. The nose is nice with sweet caramel almost toasted malt aromas with a very pleasant floral hop aroma. There is a very interesting sweetness to the nose. This is very inviting I can’t wait to dive into it. That’s a nice, pleasant and refreshing American Pale Ale with just the right amount of hops and malts. This is very nicely balanced. The taste starts out with just a touch of sweetness up front then the most refreshing cleansing effervescence over the tongue in the middle of the sip. The back-end is very easy drinking with an almost effortless swallow. The finish is very nice with a fairly rich caramel malt flavor with a nice hop bite. I would not call this a bitter finish just a nice bite to it. There is very little of final aftertaste just a slight lingering malt and hop notes. As this beer warms it is picking up a more robust malt flavor. The flavor now is more of that of an Alt beer or Old Ale. It’s not bad but it is a surprisingly different flavor for just a few degrees shift in temperature. The head has diminished to just a slight ring around the glass but it is leaving some pretty decent lacing. We are now at 68 degrees and the robustness in almost unpleasant. The final aftertaste now has a unpleasant metallic aftertaste. I’m not sure what makes a beer go down hill so fast. This was a very enjoyable beer with it was cold. All and all I’m still going for a C+ to B-. I still think that this is a good beer but it does not warm well.